Among the couches ideas, there are one choice of pallets wooden couches, these type of couches can be made with a little cost, and looks more beautiful if done with some creative skills and ideas. 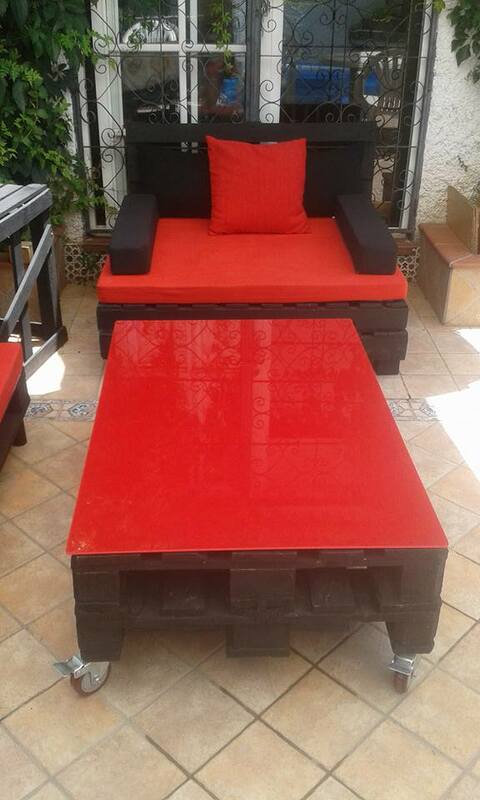 Here is a patio bright colorful pallets couches with coffee table, this couches set create a very romantic environment in the garden with its bright red color. 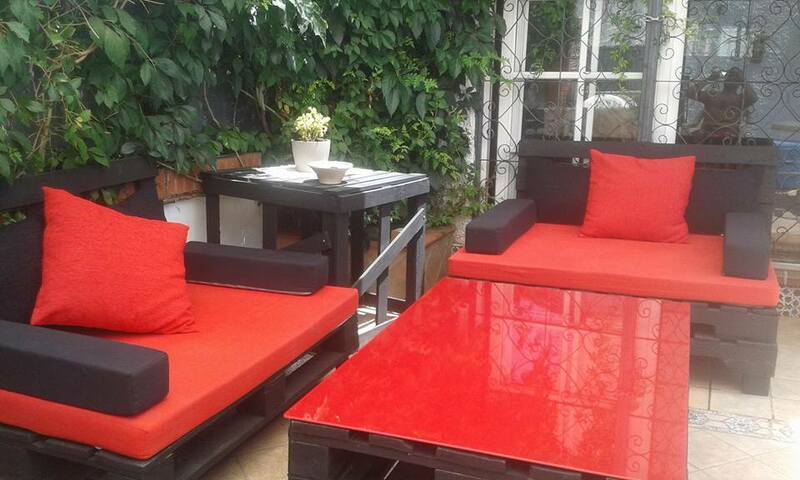 The cute pallets made coffee table also create a weather enjoying place. 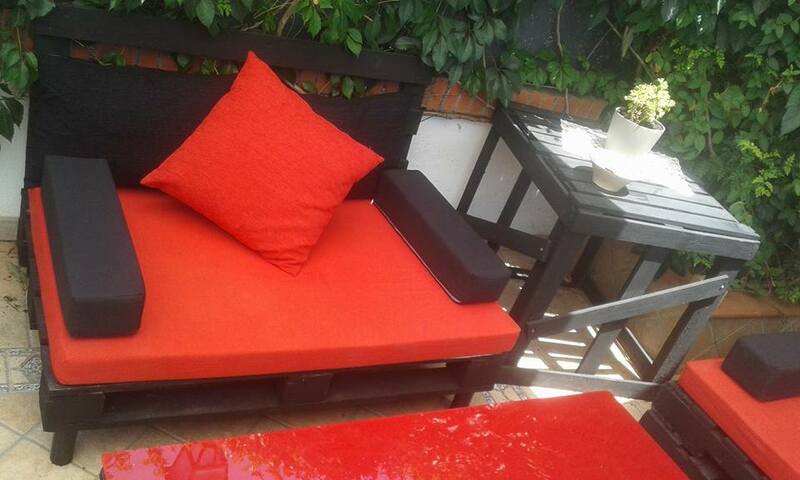 I am more than sure that you will like this patio sitting area in your garden.